Natures Sway: How can we help you? 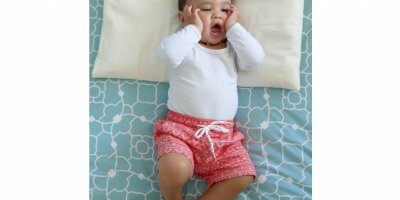 Can you please explain why the mattress stiffener is not recommended for newborn babies? As I would like to have the best and safest option for baby, I would appreciate your opinion and experience on the topic. A very fair question and yes there is some confusion about the various advice given. 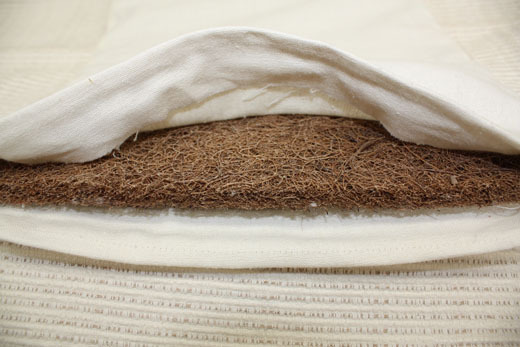 Our natural coco-fibre mattress stiffener is a great addition to your hammock but it must be used with caution for new-borns. We find with the hammock that its greatest feature is that it keeps baby on their back and it does that because it is not completely flat. 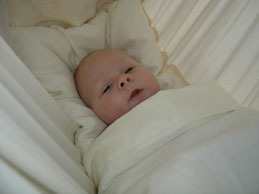 When a firmer base is introduced to the hammock it still needs to flex to the gentle curves as they are what hold baby in place and what we have found is that in some cases, with a very light newborn and a fresh new stiffener, the base can be too firm and create a chance that baby could roll. A heavier baby will ensure the stiffener bends and gives the larger baby a bit more room on the sides, while the hammock without the stiffener will fold around baby holding them snug and replicating that womb-like feeling they are so familiar with. As we are concerned with safe sleep, we have created options to ensure best practices. Personally, I believe the safe sleep advice about a flat bed is deliberately kept simple and its intention is so that people get the idea not to sleep baby in car seats or on cushions or couches etc, ie they are safest in a purpose built bed. In that case the hammock bed, which has been used traditionally in many cultures for centuries, is such a place. I hope that helps explain our position. 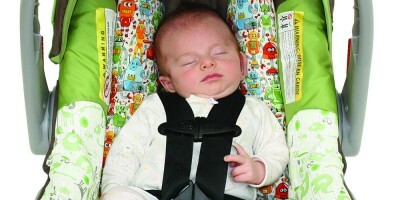 Most of us have heard the latest public safety message around safe sleep that recommends using a firm flat bed . The ‘firm flat bed’ message is great but sadly not so clear for baby hammock fans or even the professionals whose job it is to give new parents good advice. As with most public safety messages, this one was designed to be simple and reach the most people. 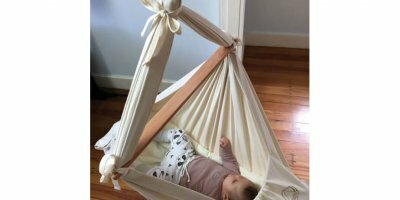 However, as our baby hammock seems to be an exception to the rule, this has led to some confusion with people who love the idea of it but of course want safe sleep for their baby. 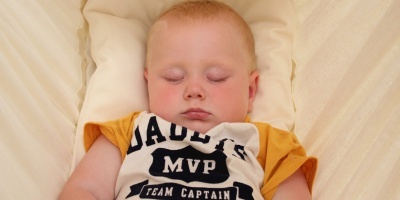 As mentioned above, one of the ideas behind the ‘firm flat bed’ message is that babies are most at risk when they fall asleep on products not intended as a safe baby bed, for example, cushions, couches, car-seat capsules, bean chairs, and bouncer-nets. The reasons are that either the shape of the surface itself isn’t suitable and there might be gaps they fall into, or there are other potentially risky objects in that space. Note: even a hat is considered a risk because it can slip over the face while sleeping. The baby hammock, however, is designed for babies to sleep in. Many non-Western cultures traditionally used hammocks to keep babies cool and safely off the ground. In 1993, I took this idea and adapted it, incorporating more ergonomic features and a NZ wool mattress. Essentially we’ve now established our own tradition of keeping babies safe and comfortable in a hammock that’s basically flat with a very gentle curve in its base. Our design is firm inasmuch as the fabric remains taut in use and the low profile mattress is suitably safe in that space (as per bassinet safety standards). From the outset, we had the intention to design a product that kept baby safely asleep on their back with no potential to roll or become entangled in anything. In our hammock, newborn babies have the benefits of the both its curve and the cocooning effect of the close high sides. When you first use the hammock with your new-born, you could add the Dri-cot wool mattress protector if you prefer something a little firmer. This will also protect the mattress from spills – a worthwhile investment for an essential item that will be used long term. 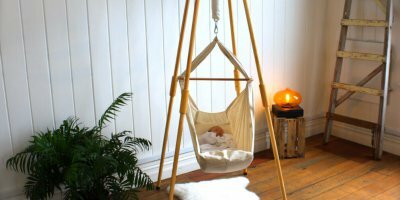 Once baby is established in the hammock, the addition of the stiffener, when they are 4kgs or more, firms up the base just enough to give baby some space at their sides. The stiffener has a central scour (or half cut) to the center so it will always bend in the middle first. It’s important to note that we insist our customers should never put a solid base in the hammock or improvise with additional materials. The risk is that this then results in the hammock tipping from side to side. Safe sleep is a big part of our business so you can rest assured that Natures Sway would not have survived for 21 years if hammocks presented a risk to babies. A study done by Independent Paediatrics in 2013 hypothesised that the curve was a risk to babies breathing. It was thought the hammock curve could result in the head slumping onto the chest BUT the reality is that the curve is very little and scientific results showed NO AIRWAY OBSTRUCTION AT ALL. The experiment was done without consulting us and used the original Natures Sway Baby Hammock (pre-2010 construction), which had more curve than the present design. You can read more about this study here. Baby Hammock instructions get an upgrade!